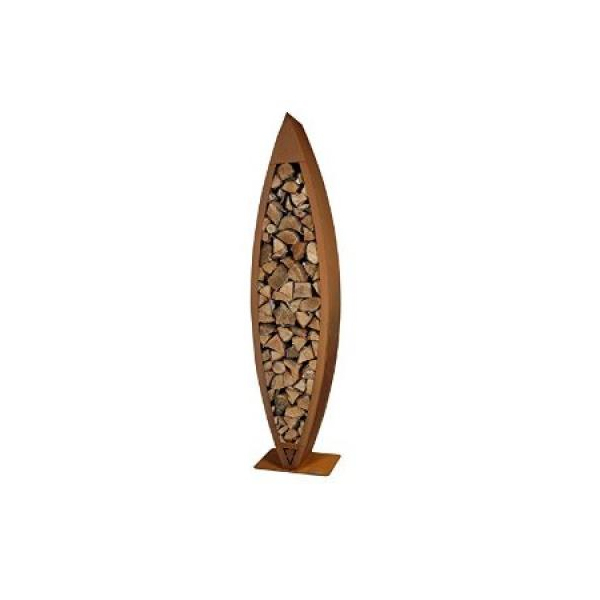 The Zeno Canoa woodstore is a truly magnificent piece of outdoor art, which is as functional, as it is beautiful. 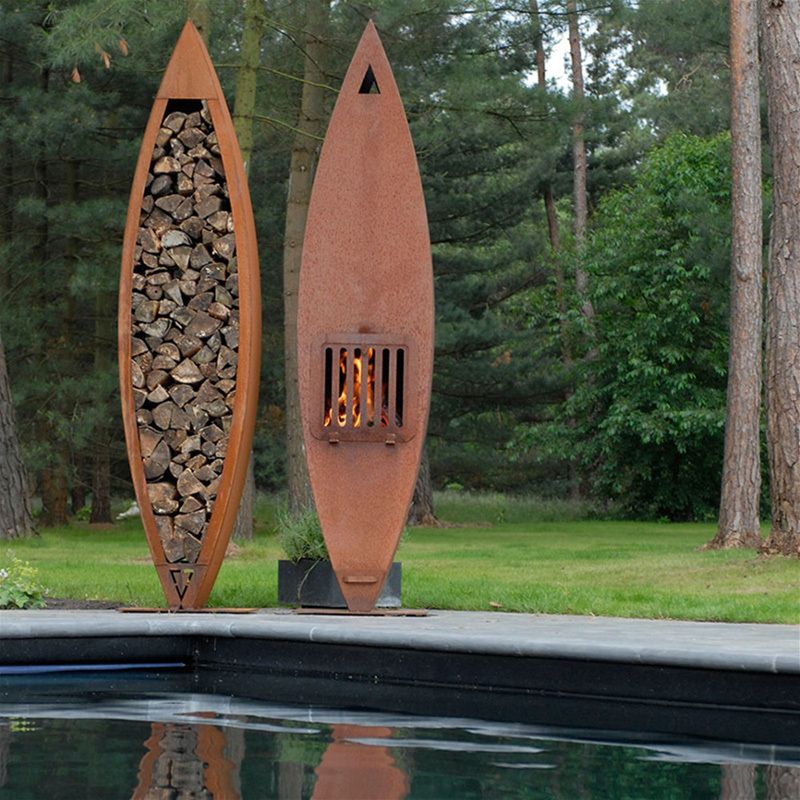 Bring absolute style and contemporary flare to your garden or outside space. 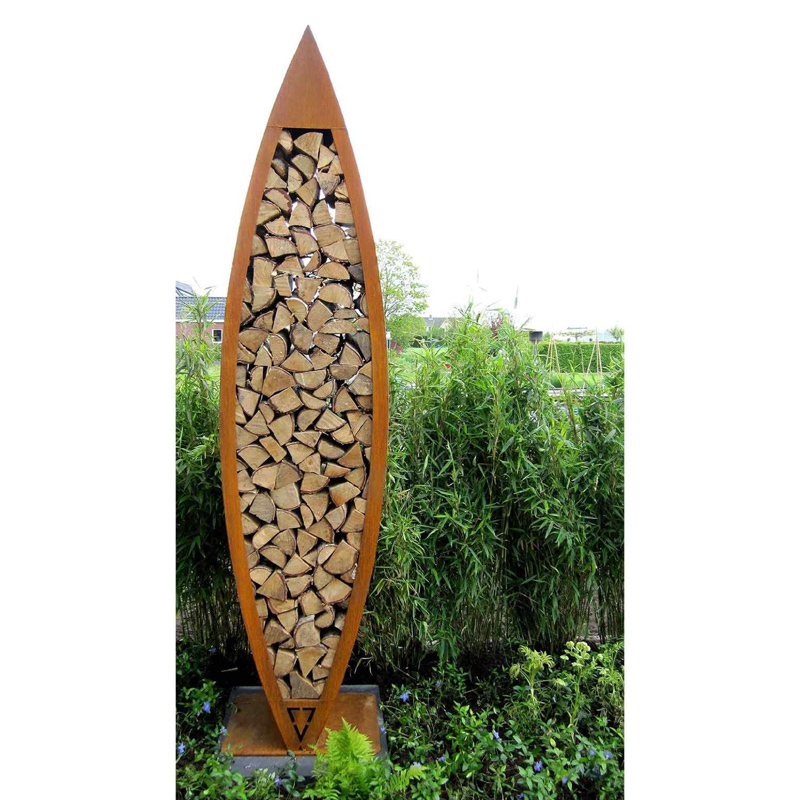 The Canoa woodstore is a timber storage/wall divider suitable for your garden or even for indoor use. When the woodstore isn't being used, it is still a beautiful piece of art. It compliments the Canoa Outdoor Fireplace wonderfully. Comes in untreated Corten Steel, which when left untreated will rust naturally to it's intended beauty, within a matter of weeks. Can be powdecoated in every RAL colour.